SK 1/c Estel "EX" Loftis, son of Mr. and Mrs. R. L. Loftis, attended Weaver School; husband of the former Opal Grimes. 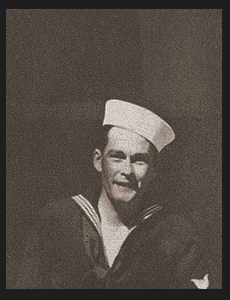 Entered Seabees in 1942, trained in Norfolk, Va.; served in New Caledonia, Guadacanal and Guam; was discharged in Oct., 1945. Awarded Asiatic Pacific Ribbon.